Adiós 2018….. Hola 2019! – Talk Exchange..! 2018 has really been a great year! This was indeed a swift one. One day after the other which lead to weeks and months ahe here comes 31st December 2018 marking the end of this fantastic year. 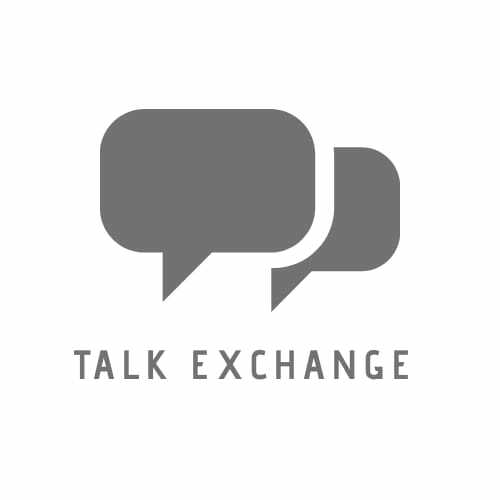 Also, I am glad to mention about Talk Exchange..! I had not even dreamt of doing anything like this but one evening just thought of giving it try and now feel really nice that I thought of trying it out. Talk Exchange has given me experiences, memories and friends for a lifetime. I am really grateful to all my lovely readers who have supported me all the way till here. 2018, Thank you so much for turning my year into an experience. My eyes water when I say a goodbye to you but after all 2018 has to end for the grand welcome of 2019. 2019 is surely gonna be an amazing year full of excitement, opportunities, fun, achievements and what not. I am awaiting this year and look forward for success and wish to help someone and make a difference for him. I am all set to welcome 2019 with a blast. Blast of happiness and a Blast of positivity. Wishing you all, Dear Blogger Buddies a very Happy and Healthy 2019! Also dear Readers, Do write and share the experiences and Lessons 2018 taught you guys in the comments section. Will be waiting for your exchange of talks. What the past has taught me is that life will always go on and it’s not necessary that everyday will be sad and gloomy. Rather each new day brings a new ray of light in our life’s, so always think positively and it’ll get better and better. That’s an amazing lesson taught dear…I too learnt something new from this..Thanks a lot for sharing..May you have a glorious year ahead…Happy 2019! Thank you so much Yaasotaa…Means a lot to me..
Good one Neha. I wish you a very happy new year. Wonderful conversation to end one great year and to begin another tremendous one. I wish you and yours all the very best in your endeavors. I am a very patient person. For reason unknown to me yet God has gifted me with patience. My children 😂 will beg to differ on this point but I always say to them , my patience manifested differently with each of you. But for 2018 I learned to be more mindful of everything in my life literally. It has been a learning experience and has taught me more about keeping pace and being a better person overall, especially to myself. Oh..That’s a really important and mind blowing piece you have shared. With the conversation I am learning a lot many new things from you. Thank you very much for sharing your experience..It made me learn something new. Great Start leads to greater proceedings..Wish you to grow as a brilliant future writer and author! Thank you very much Sajal…! May Lord bless you with all the bliss…May your dreams come true…HNY 2019! What 2018 has taught me is that don’t waste time – you will never be able to get back those seconds, so don’t waste any. Make the most of each moment. Don’t be afraid to make mistakes. Just live each moment as it comes. Nice post neha. 2018 has been a year with lot of new things learnt and explored for me. Especially in parenting. Wishing you and yr loved ones a very happy New year. Thank you so much Nisha…Means a lot to me.. Happy New Year, dear Neha! Health and everything you wish may come true. Thank you so much dear…Happy New year to you too…! Stay happy…stay blessed! NextThe Real Neat Blog Award..